Ever wonder what the best way is to experience downtown Tampa? City Bike Tampa has got the answer for you... GET OUTSIDE! 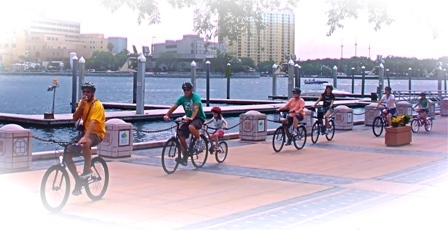 City Bike Tampa, a brand new rental company located in downtown, offers visitors, meeting delegates and residents affordable bike, kayak, stroller and car seat rentals, along with guided bike tours and history tours. They offer hourly, daily and weekly rentals and will deliver their equipment to the convention center and area hotels at no additional cost. City Bike Tampa is determined to deliver friendly, reliable service and a great selection of equipment to all their customers. Check out City Bike Tampa&apos;s Web site for more information on the company and to book your bike tour. Thanks for stopping by!